At snapdeal.com you can purchase Mafia 3 Deluxe Edition ( PS4 ) for only Rs. 1,498, which is 24% less than the cost in Ebay (Rs. 1,979). The lowest price of BRAND NEW SEALED MAFIA III 3 DELUXE EDITION PS4 GAME (GAME + SEASON PASS) was obtained on March 30, 2019 12:17 am. 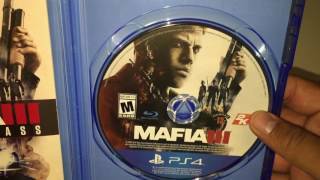 It’s a great game like its predecessor Mafia 2…. However, will have to wait for price drop for this one as it’s quite expensive even after its release which has been sometime…! Love this game. Good Gameplay mechanics. The soundtrack is amazing.Huge 10 GB update at the beginning to use the online features smoothly, otherwise its entertaining to play.